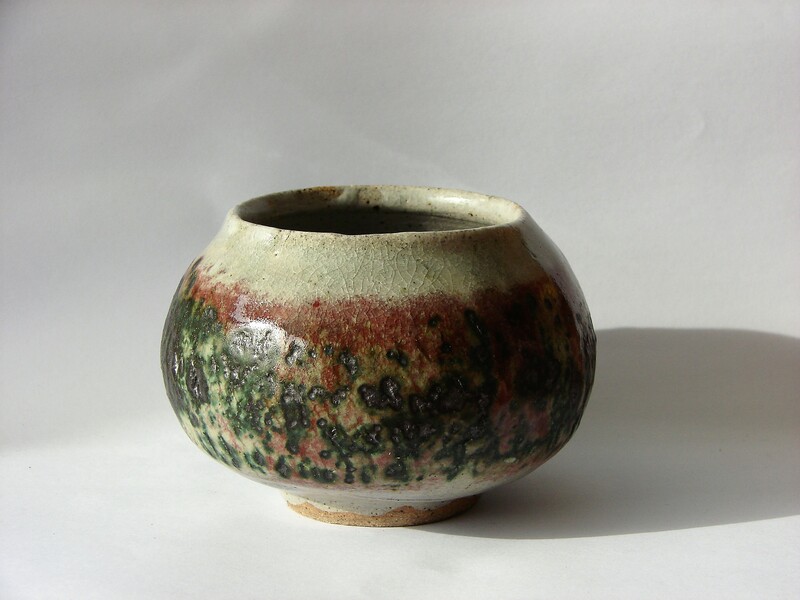 My wheel thrown pots explore textures – both in the glazes and in the forms – and seem to be striving for the raw, unpolished expressiveness of emotions. 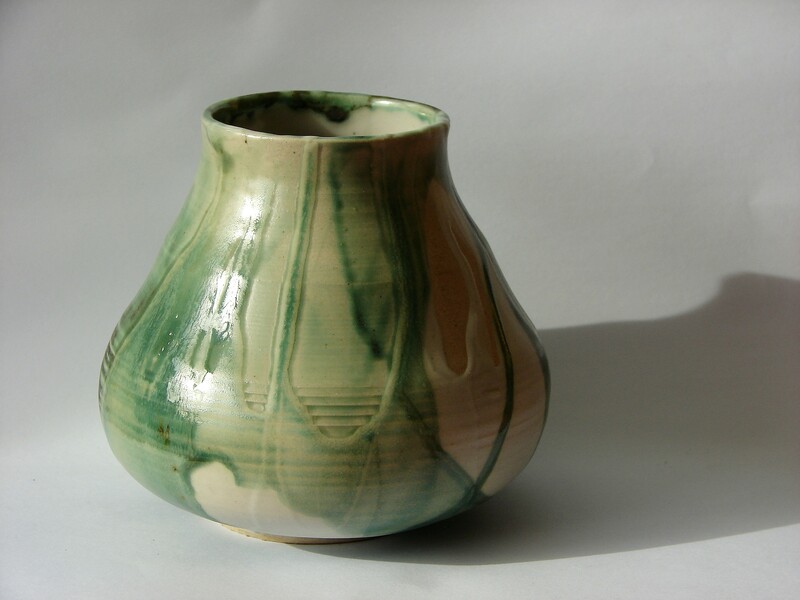 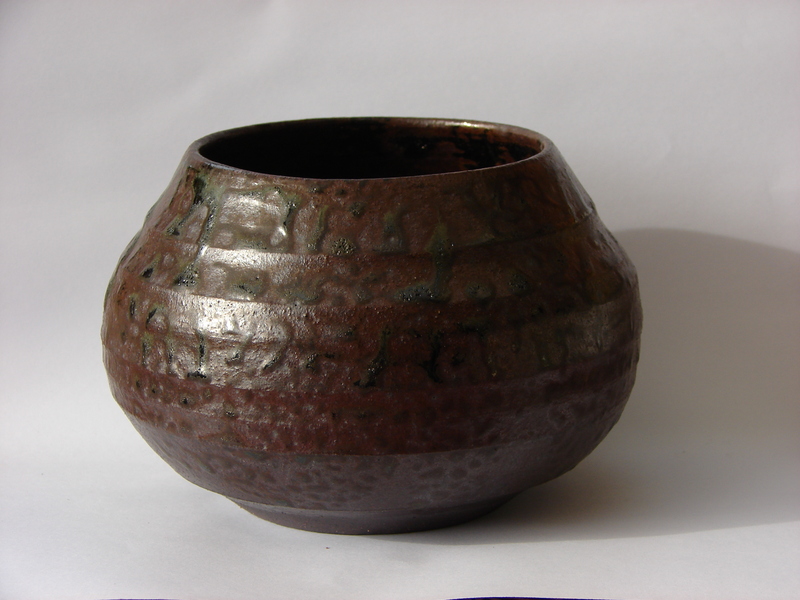 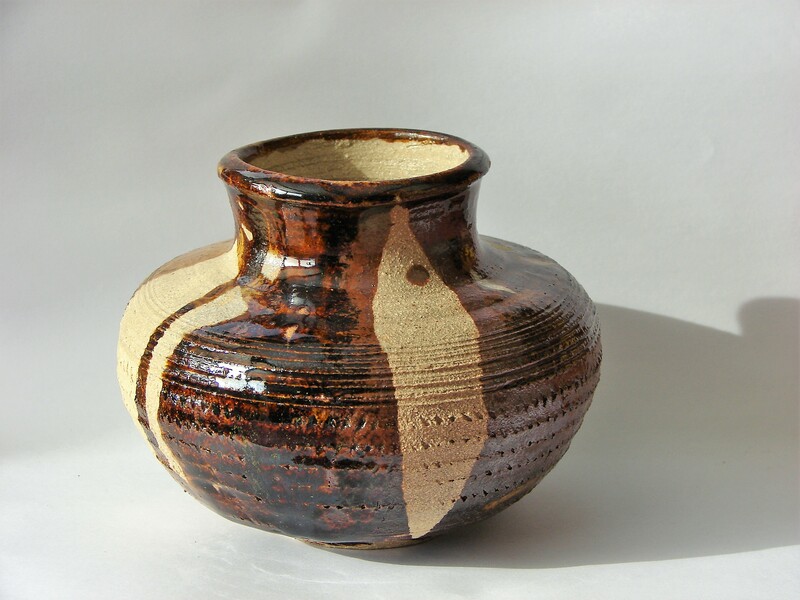 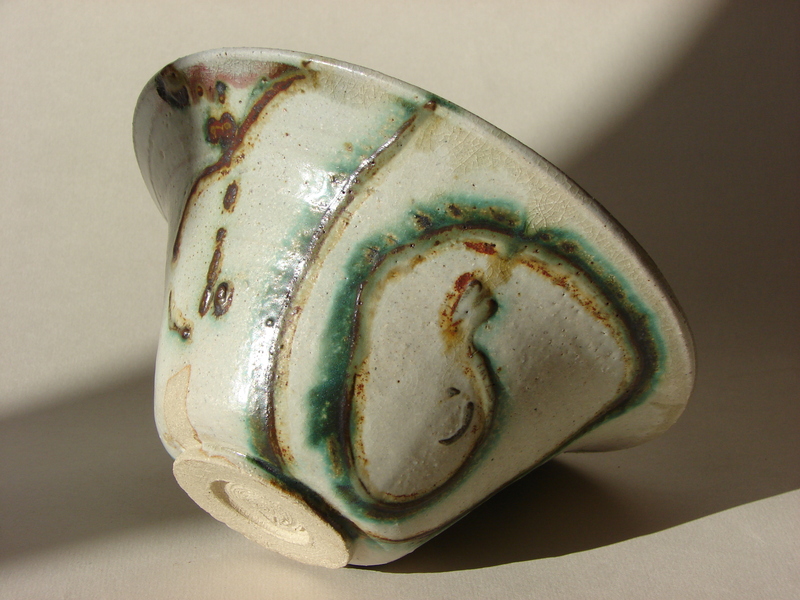 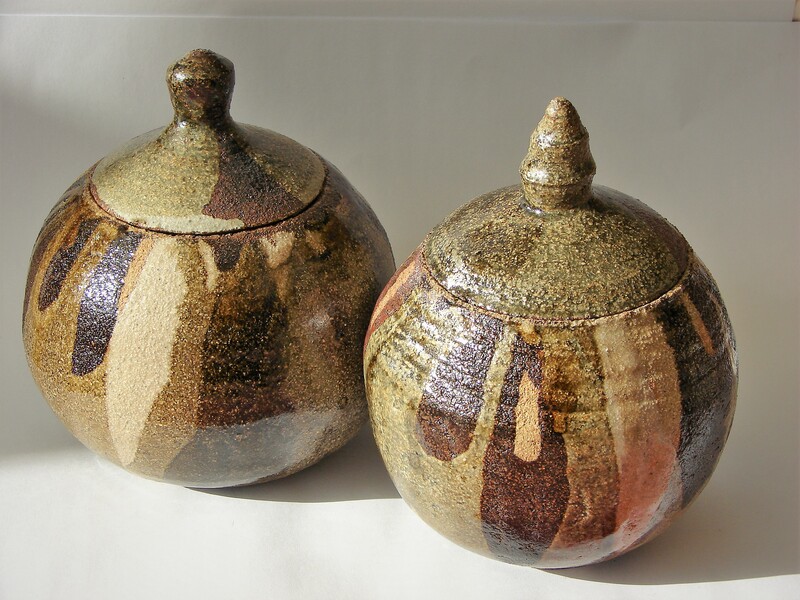 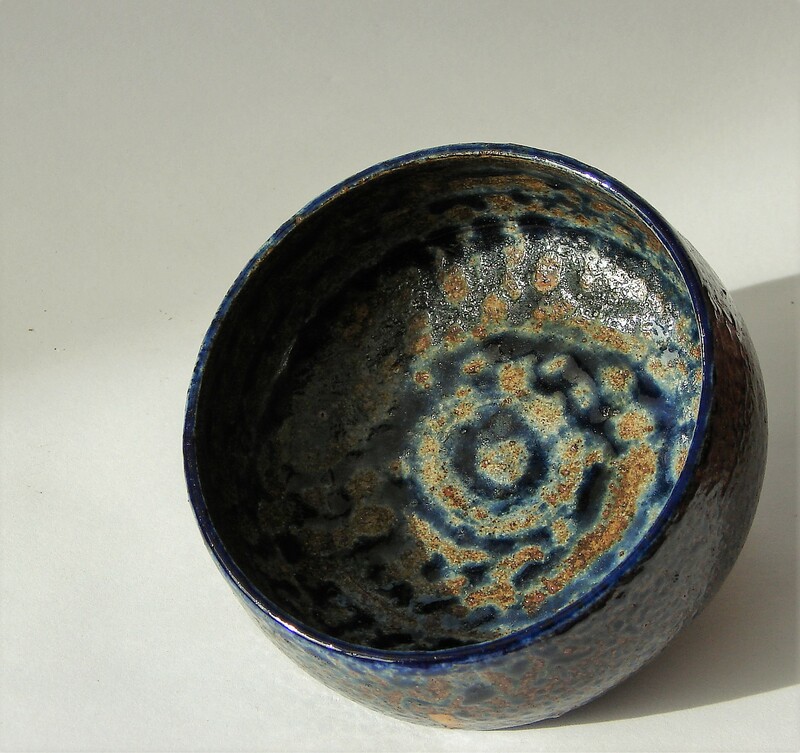 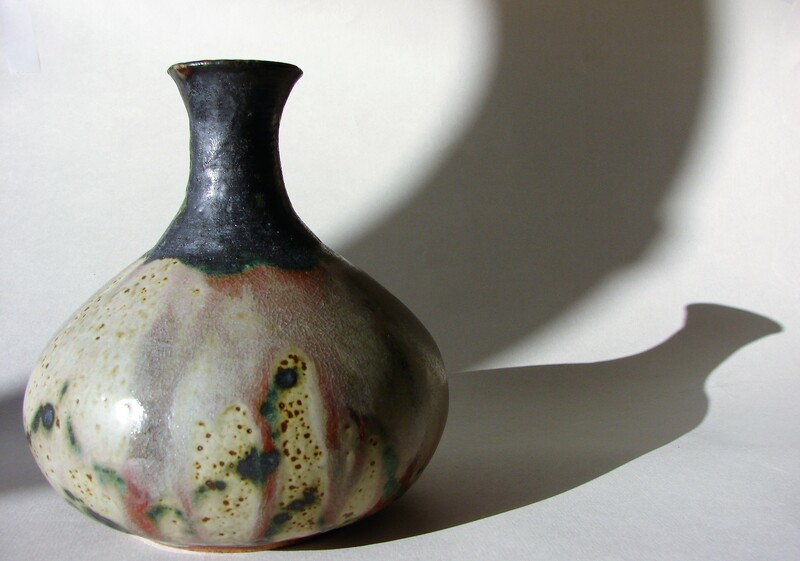 I fire mainly in reduction and am at the moment exploring ash glazes which act as if they have wills of their own – flowing and stopping and converging independently – and interact beautifully and unpredictably with different clays and oxides. 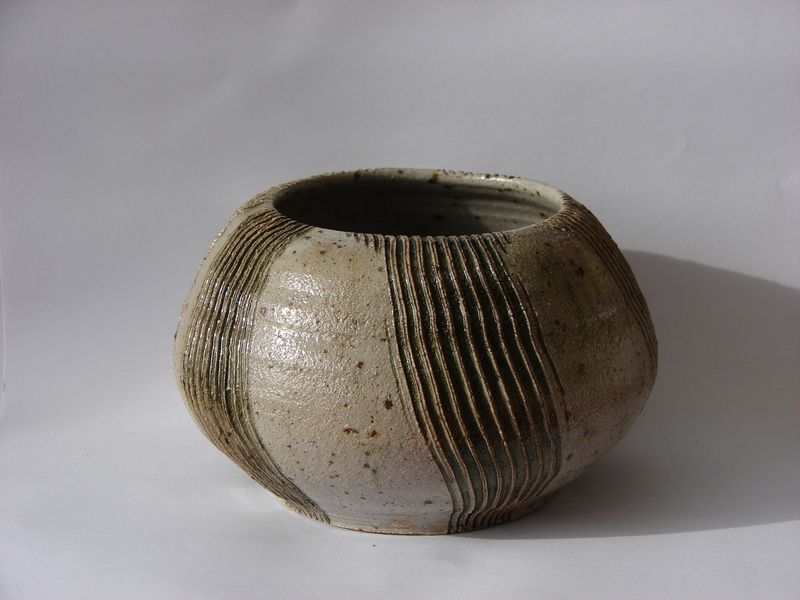 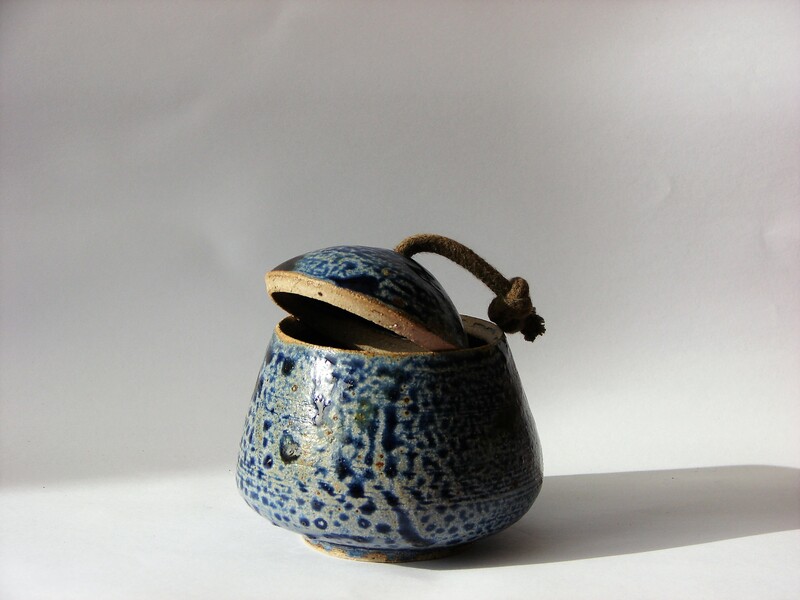 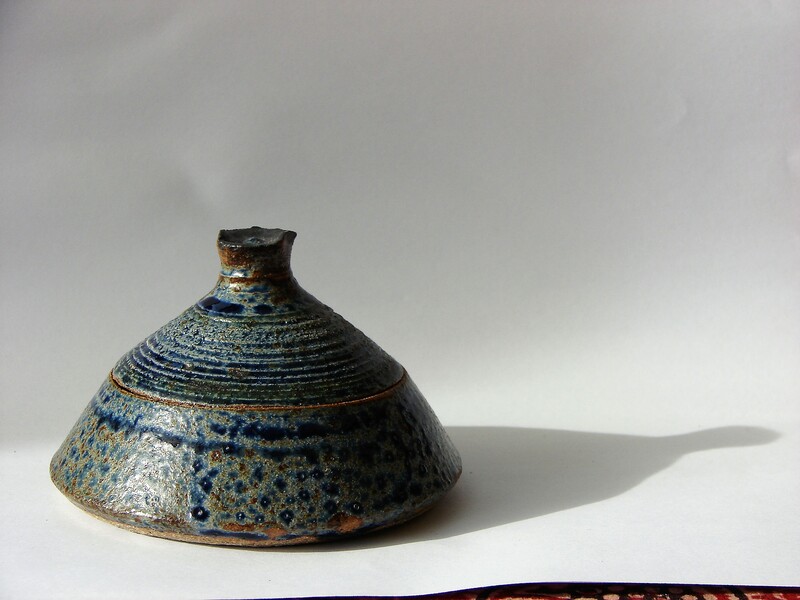 I love the simplicity of unglazed pots with the movement of the wheel still visible and the crazy beauty that can come from pots which have flown off balance and have crumpled up in unexpected ways. 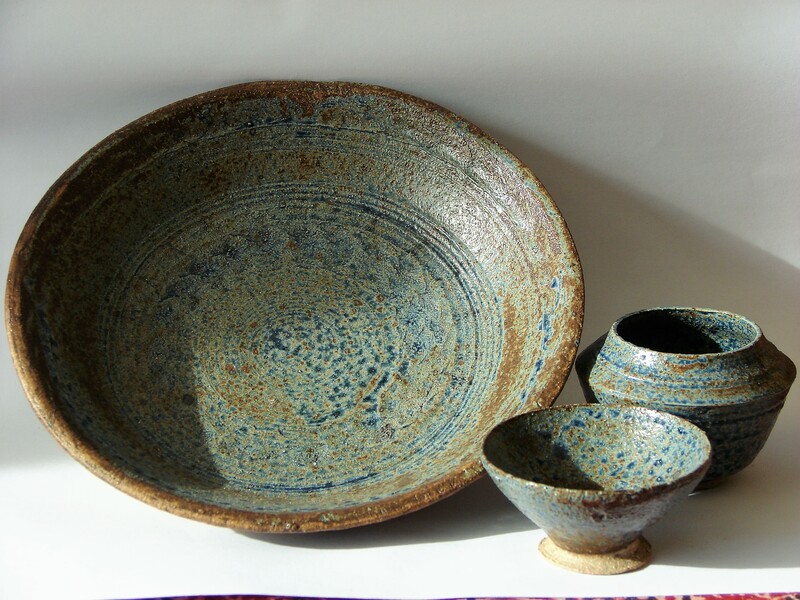 I came to ceramics by accident – I never thought I would find a passion to rival cooking – or studying babies (that’s my other job) – but this is it. 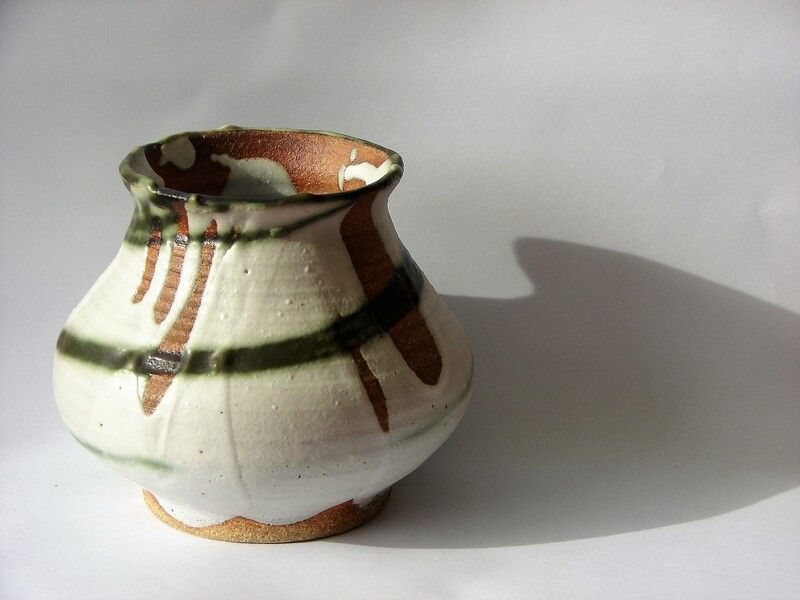 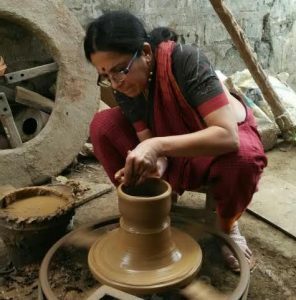 Throwing seems to me a dialogic process – a conversation with clay much like that with children – you can listen, you can be amazed, you can be open to where the conversation takes you.